If you grew up in the ‘80s, you knew that you had no end of the list of possible characters that you wanted to be. When asked which Teenage Mutant Ninja Turtle, the choice was always so difficult. Did you like katanas or the bo staff more? Did it come down to blue versus red? Or, how about asking which Power Ranger was your ideal? Was it always a battle between the brave leadership of the Red Power Ranger or did the mystery and awesome moves of the Blue Ranger have you going that route? And that is only two shows and only two characters from each!? The choices were simply too much! But, then the question came about the Transformers. Which Transformer did you want to be? Well, that was hardly a tough question to answer. 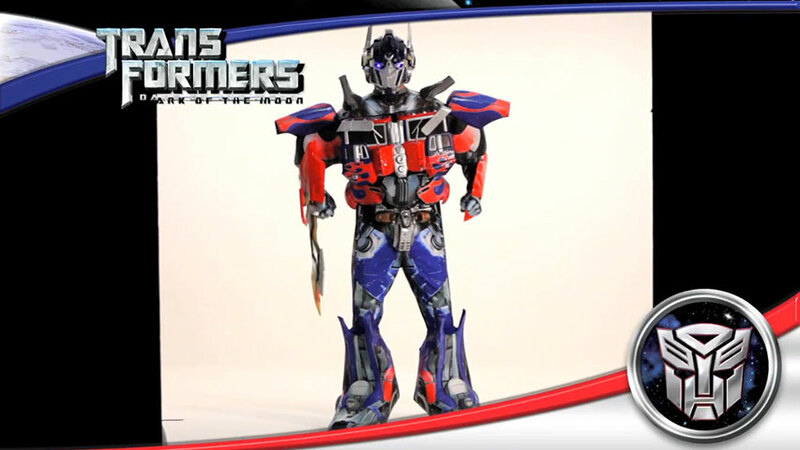 The leader of the Autobots, of course! The wise and mighty Optimus Prime was not only the ideal candidate for leadership but had all the strength of the rest of them, maybe combined! And, if there is any question, it is worth noting that, for once, you didn’t have to choose between red and blue… because Optimus was both! It is time to retrofit yourself back in time and get ready to Roll Out! 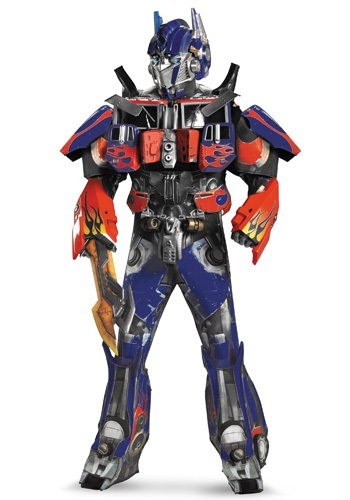 with this Adult Authentic Optimus Prime Costume w/ Vacuform Armor. This is a true gem, folks. This jumpsuit is perfectly crafted to look like robotic machinery in a way that could only have been done by the grace of Primus and the All-Spark. Polyfoam is strategically used throughout to give you the bulk and powerful shoulders, upper arms, chest, and lower legs. The jumpsuit hands are enclosed as mighty gloves and the chest features windshield details so as to ready yourself for transformation. The mighty sword attaches under your gauntlet and shows the bright yellow runed blade and, finally, your grand helmet… lights up. See through the eyes of a Prime and take down those who would ruin the world!